Already own in Ocean Blue? Thinking of selling? Click here and read about current search trends & our web network. 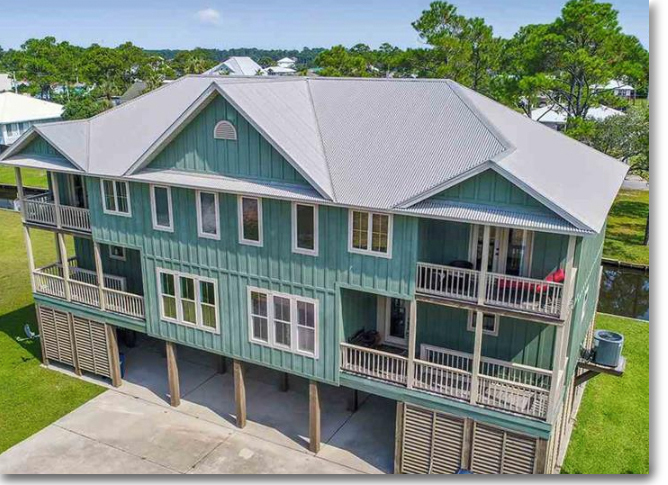 Ocean Blue condominium is actually a large duplex located in the heart of Gulf Shores, Alabama. Each side of this custom-built duplex consists of 3-bedrooms and 2 1/2 baths. Interiors feature modern appointments and large spacious balcony overlooking the canal. Ocean Blue is walking distance to Gulf Shores public beaches, The Hangout, restaurants, and shops. There's need to worry about parking for annual downtown events such as The National Shrimp Festival. Ocean Blue features a shared boat ramp allowing easy access to Little Lagoon for day fishing or leisurely boat ride with friends and family. Please let us know if you would like further info for Ocean Blue or any other condos, homes or real estate along the Gulf Coast or would like to schedule a private viewing by emailing info@condoinvestment.com or by calling (251) Area-Pro (251-273-2776) for immediate assistance.